Central Board of Secondary Education (CBSE) has made it mandatory to use Aadhaar number for board exam registration of Class 9 and 11. 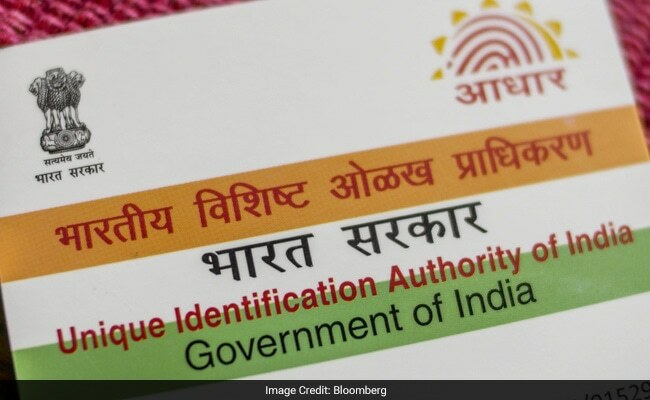 New Delhi: Central Board of Secondary Education (CBSE) has made it mandatory to use Aadhaar number for board exam registration of Class 9 and 11. The Board in a circular released on 26 September has given detailed rules for class 9 and class 11 registration of CBSE affiliated schools. 'All CBSE affiliated schools should register themselves before proceeding for online submission. They can use the password and 'Affiliation Number' as user ID already available with them. Newly affiliated schools should contact the concerned Regional Office of the CBSE for obtaining password,' reads the circular. For the first time, the Board has made Aadhar number compulsory for registration. 'Wherever Aadhar number is not available; Aadhar enrolment number can be provided. Residents of Indian states where Aadhar enrolment is not being done may provide Bank details in lieu of Aadhar,' says CBSE. For foreign nationals, passport number must be provided; else Social Security Number/ID Number issued by that Foreign Country may be provided. It should be noted that those registered in class 9 shall have to appear for mandatory board exam next year. CBSE has remodeled assessment system for class 10 examination in which 80 Marks will be of theory examination and 20 marks internal assessment. There is mandatory minimum passing 33 % for theory, internal assessment separately. Details of the scheme of studies can be found at the official website cbseacademic.nic.in.